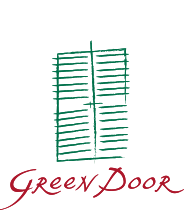 Green Door Vineyard & Winery is a small boutique winery in the Ferguson Valley. Ashley & Kath Keeffe purchased the run down vineyard in 2006 and set about restoring and replanting, with the existing Grenache and planted Tempranillo, both Spanish varieties, finding near perfect conditions. Other grapes in the vineyard include Mourvedre, Shiraz, Fiano and Verdelho. Ashley is very conscious of soil health and the vineyards are managed with a minimal intervention ethos creating fruit with great flavour. All grapes are handpicked and basket pressed. Their wines are made on the property by Ashley with consultant winemaker Vanessa Carson using various winemaking methods including the use of Amphora pots, cold soaking on skins and addition of whole bunches to ferments. Green Door have a Cellar Door Café on the property with a Spanish theme matching the predominantly Spanish/European characteristics of their wines. Ash & Kath & their team take great satisfaction in being involved in the whole process of growing, making and sharing the enjoyment of our wines. The Cellar Door is open Thursday through to Sunday from 11am to 4.30pm and serves a selection of share plates for light lunches and a unique take on wine tasting.